An Interview with R. Albert Mohler Jr.
Dr. R. Albert Mohler Jr. serves as president of The Southern Baptist Theological Seminary. In addition to his presidential duties, Mohler hosts Thinking in Public, an interview forum about frontline theological and cultural matters; and The Briefing, which seeks to enable Christians to think biblically about current events. He has served as pastor and staff minister of several Southern Baptist churches and came to the presidency of Southern Seminary from service as editor of The Christian Index, the oldest of the state papers serving the Southern Baptist Convention. 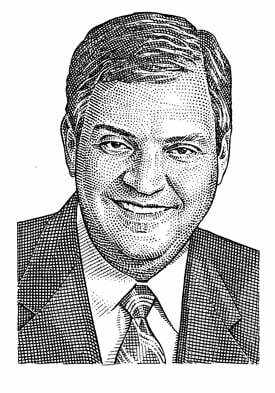 Dr. Mohler has served in several offices in the SBC, including a term as chairman of the Committee on Resolutions, which is responsible for the denomination’s official statements on moral and doctrinal issues. In 2000, Dr. Mohler served on a panel that made recommendations to the SBC for revisions to the Baptist Faith and Message, the statement of faith most widely held among Southern Baptists. He currently serves as chairman of the Southern Baptist Convention’s Council of Seminary Presidents. The April edition of Tabletalk featured an interview with Dr. Mohler. You can read it in Holding the Line: An Interview with R. Albert Mohler Jr..